The Cosby Show offers one of the most powerful and important representations of Black male intellect in the history of American television. One of the main characters on the show is Heathcliff “Cliff” Huxtable (Bill Cosby), an obstetrician and son of a leading jazz trombonist. Cliff is married to Clair Huxtable (Phylicia Rashād), a smart and professional attorney. Clair and Cliff have five children. The upper-middle class Huxtable family lives in a brownstone in Brooklyn Heights, New York. Although The Cosby Show has received some negative critiques for focusing on highly educated and successful Blacks, I find the show to provide a needed alternative to the dominant narrative about Black male intellect: the media and other sources often present Black males as being unintelligent and criminals, but Cliff Huxtable represents respectability and brilliance. His brilliance isn’t wrapped in the traditional “nerd” image either. (Nothing’s wrong with the traditional “nerd” image, but it’s refreshing to see a representation of intellectual giftedness that doesn’t simply rely on an overrepresented image of what an educated or intellectual man looks like.) It’s essential to look at the great representation of Black male intellect Cliff Huxtable offers. 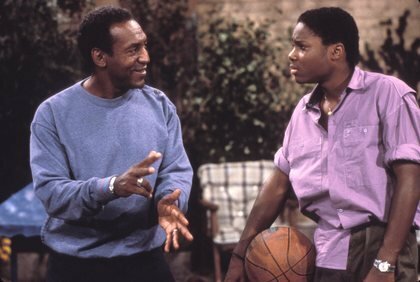 Although some don’t like Cliff Huxtable’s positive representation of Black male intellect to be highlighted, a critical observer of The Cosby Show cannot help but to see it. Cliff is a Black man who is a medical doctor. It takes a significant amount of knowledge and intellectual prowess to become a medical doctor. His education enables him to enjoy the life afforded to an upper-middle class man living in America. He doesn’t, however, display his wealth in an ostentatious manner. Instead, Cliff elects to invest his money in building a strong family centered on the importance of a quality education and essential moral values. Even though Cliff is known more for his comedic ingenuity, the substantial value he places on education isn’t about fun and games at all. He has fun with all of his children but they know he doesn’t mind disciplining them about a lack of commitment to their academic studies. Theodore “Theo” Huxtable (Malcolm-Jamal Warner), Cliff’s only son, experiences the most difficult academic challenges, stemming primarily from his frequent lack of focus and motivation to excel academically. Theo constantly has his mind fixed on beautiful young girls, which, of course, is typical of a young American boy. Cliff refuses to allow Theo to sacrifice his education for phenomena less vital than a quality education. Dr. Huxtable presents an interesting fusion of intellectual, moral and comedic excellence. When Black men are looking for a positive role model, they can follow the example proffered by Cliff. Too many people aren’t able to see the value of Cliff’s example for Black men because they’re too concentrated on his economic standing. Black men who don’t have anywhere close to the amount of money Dr. Huxtable has can still learn the essential values of a quality education and active and positive parental involvement from him. Imagine if more Black men were to embrace Cliff’s commitment to education and active and positive parental involvement. How much better would our young Black males be today and how much stronger would Black families be? You HONESTLY know people that had a problem with the Cosby Show outside of the unrealistic amount of time they had for their kids? Let us be honest: a doctor and a lawyer are typically very, VERY busy people. 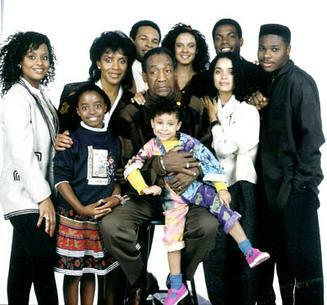 Besides the above, how can ANYBODY have a realistic issue with The Cosby Show? I don’t understand. The time they had for their children, considering their typically busy professions (and especially how prominent they are in their professions), is quite unrealistic. I think what parents should take away from the time the Huxtable parents spent with their children is to find ways to spend critical time with their children — no matter how busy they are. There are acclaimed Black scholars who have serious problems with The Cosby Show: (1) It doesn’t present a realistic view of the typical Black family, (2) the writers do not capture the typical struggles the Black family faces, (3) the show does not offer a realistic depiction of race and racism in America, and etc. Dr. Michael Eric Dyson is one scholar/intellectual who has some serious problems with The Cosby Show and certainly with Bill Cosby. I cannot understand how anyone would have problems with such a classic and wholesome show like The Cosby Show. I’m sorry, but the only criticism worth considering is number 3. They weren’t the typical black family. If they were, then they wouldn’t have had a doctor and a lawyer as parents. That alone makes it atypical from the start. Second, when you are in a certain tax bracket, your values aren’t the same. You don’t do “typical Black family” stuff. Oh, and how does the “typical Black family” look? I know plenty of people that lived like the Cosby Show. Sometimes in Black America, we criticize just for the sake of criticizing. I agree. I think the fact that the family had qualities that made them “atypical” is one thing that appealed to many people. Americans have a general proclivity to look to television and film to live out fantasies and think about what is possible. As far as what the typical Black family looks like, this is where I think many scholars attempt to make Black families monolithic when they are not. There are many types of Black families. I, too, know many Black families who lived like the Huxtables, including my own family. You’re right, some Black folks just look to criticize things for the sake of criticizing, but, unfortunately, many Black people fail to critique those phenomena they really need to engage. Very good points and observations! I loved the Cosby Show. I think it’s ironic that as time goes on things/people are suppose to progress. TV networks alowed the Cosby Show to be the longest running syndicated show in history until Married With Children (which I liked) and The Simpsons eventually both passed it. As time moved on the potrayal of blacks more so black men on TV has literally been dumbed down. You’re right. As time has passed, the representation of Black men on television has moved from a figure like Bill Cosby to now a figure like Stevie J. I, too, very much love The Cosby Show and Married With Children. I think it’s even more critical now for us to have more representations of Black folks like The Cosby Show offers. I have been complaining about the lack of positive black images in general in television and that The Cosby Show was the last one to demonstrate it. When I was growing up that was the images that were projected to me and it made me think about becoming a lawyer. The show that also did it for me was “A Different World”, it made you want to go to an all black college. Bill Cosby should be commended for creating a show like this and doing something that we surely are lacking now, with all this reality show trash. I’m glad I grew up on his body of work, I just feel sorry for the children who are now watching Love & Hip Hop with mommy and daddy as a self-empowering tool. LOL! Love & Hip-Hop, unfortunately, is teaching many of our Black young people how to live destructive lives. Ugh! Lol! We certainly need more positive representations of blackness on television. Our community must demand better representations of blackness, however. Yes, A Different World really added to my determination to want to go to college and be a powerful scholar. Bill Cosby should truly be praised for what he has done to offer a strong counternarrative to the dominant narrative about Black people. Thanks very much for reading and your response! Could be why Obama’s remained relatively silent on black issues — even as the wreckage of fatherlessness, educational estrangement, and violence rain down around him. Now, unburdened by re-election concerns, he must use his unique confluence of race, position and back-story (he knows well drawbacks of growing up without a dad) to rally communities to action. President Obama has certainly been highly critical of Black males, but he has to offer them real opportunities to be the Cliff Huxtable type. Unfortunately, he has not done this. We also have to have some patience with each other. What’s easy for some, isn’t as simple for others. I was pretty fortunate in that I was raised in a stable, damn near boring, household with two loving, patient and financially secure parents who valued education and had excellent health insurance. With that foundation, I had a pretty nice spring board into life. Not everyone has those advantages. Some of us have to start out life at zero. Or worse, less than zero. That’s a tough hurdle to surmount. So we have to have each other’s backs at times. Both black men AND women are affected adversely when their fathers are not part of their lives. It’s important for us to learn from the trials and tribulations of those who came before us and not unconsciously follow the well-worn path of disappointment and frustration. Absolutely, both Black men and women are impacted by the absence of the father in the home. At the national level, there needs to be more discourse about how to promote healthy and positive families. Thanks for sharing the piece with your readers!